This photo was taken near the pier. Thanks Ashley! 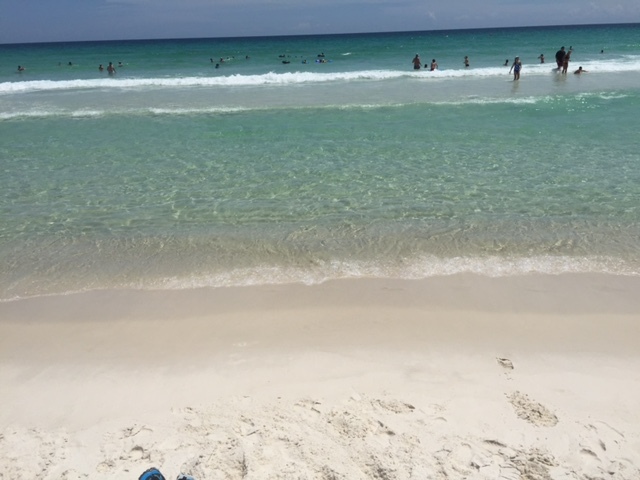 Posted on May 31, 2015, in June Grass and tagged beach, June grass, june grass conditions, june grass report, okaloosa island, okaloosa island pier. Bookmark the permalink. 1 Comment. Just arrived at Santa Rosa Beach, Sunday 5:30pm, May 31. Going out to eat and then I will stroll to the beach and let you know what I see. Stay tuned to the Santa Rosa grass report.